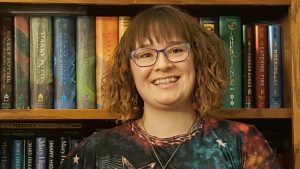 National Medical Librarians Month Feature: Meet Brittni Ballard: Gaming for Health Literacy – It’s a thing! University of Maryland’s HackHealth is a 12-week after-school health literacy program for Prince George’s County middle schoolers co-founded by Dr. Beth St. Jean and Dr. Mega Subramaniam. This program featured a specially-designed digital health literacy skills pre-assessment worksheet to be re-administered at the program’s end to gauge student growth. However, participants so openly disliked the assessment, it was not offered again. Realizing the assessment needed to be less test-like, Beth shared the dilemma with her graduate students and word spread through mutual acquaintance to Master of Library and Information Science student Brittni Ballard. Brittni’s interest in game-based learning, including gamification and serious games, combined with passions for adolescent / young adult education and emerging technologies, presented a mutually beneficial collaboration through Independent Study this past summer: Brittni could pursue her interest in game-based learning and future HackHealth participants could benefit from a more positive program introduction. As a result, a learning platform with three distinct learning objects was created. 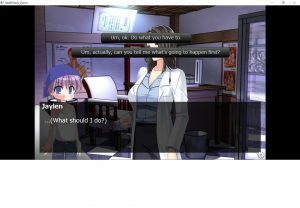 These objects are a survey which shares students’ scores on multiple choice questions only upon completion, a discussion forum with modern interactivity features, and a visual novel video game which shares students’ performance history upon completion. Together, these three learning objects introduce information literacy broadly while comprehensively approaching health literacy development through reinforcement and assessment of students’ functional, communicative or interactive, and critical health knowledge and skills. Learn on, game long, and prosper. October is Health Literacy Month and National Medical Librarians Month! This month we will feature profiles of health literacy advocates and medical librarians in the NNLM SEA region. There’s still time to participate. If you have a story you’d like to share, please visit this post to learn how.